You are here: Home / How to Become a Mystery Shopper / Is There an Age Limit for Mystery Shoppers? Is There an Age Limit for Mystery Shoppers? 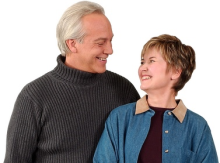 My husband and I are retired, and we think mystery shopping would be fun. I would love to be a mystery shopper, but I am concerned they might think we are too old. Clients want to match the demographics of their typical customers, so for some mystery shops they may want shoppers who are under 30, or over 50, or whatever ages they serve. Clothing stores or clubs that cater to a young crowd will want shoppers who look like their customers. Businesses that serve seniors want mystery shoppers who are like their customers. That means that some investment advisors, assisted living facilities and others will prefer seniors as their mystery shoppers. There may also be legal reasons for choosing shoppers of specific ages. For example, there are age verification shops where secret shoppers between the ages of 21 and 28 buy tobacco to see if they are carded, as required by law. Of course, for many mystery shops, the age of the secret shopper is not a factor. That means that you would be eligible to perform a wide variety of shop assignments, including restaurants, retail stores and many more. Do not let your age hold you back. Many retirees are successful mystery shoppers—you can be, too!